Fae lived in Victoria, BC Canada for a good long while, singing for her supper, dancing jigs and reels, and protecting mother earth. She is a former member of West-coast Celtic sensation, Kitangus, and the Celtic duo Syren. 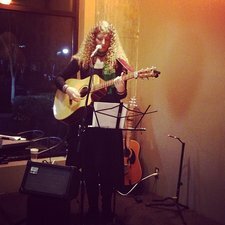 She currently tours throughout the US, Canada, and Europe.